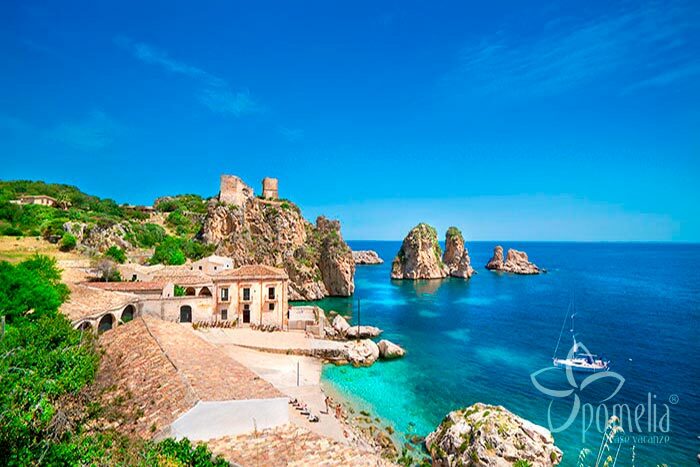 Sicily is the island with the most beaches in the Mediterranean Sea. They are spread over more than 1,000 kilometres of coastline. Sicily does have a lot of beaches! 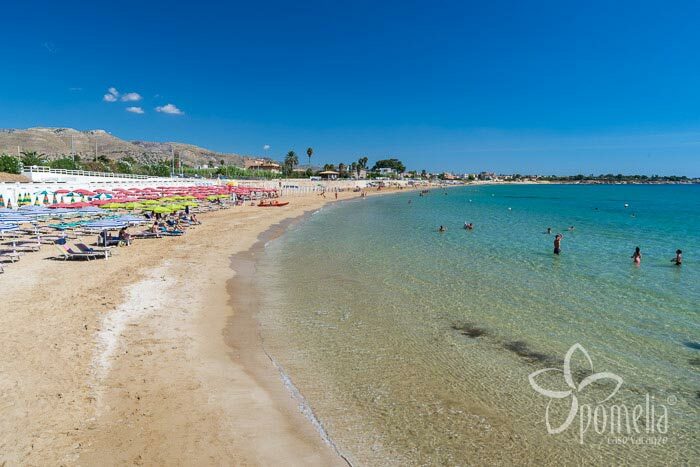 There are beaches with white sand, such as Ognina, Fontane Bianche, San Vito Lo Capo, Mondello, and others with golden sand, such as Marina di Ragusa, Donnalucata, Marzamemi and La Scala dei Turchi. Sandy beaches are best for sunbathing and for families, especially if you have children. 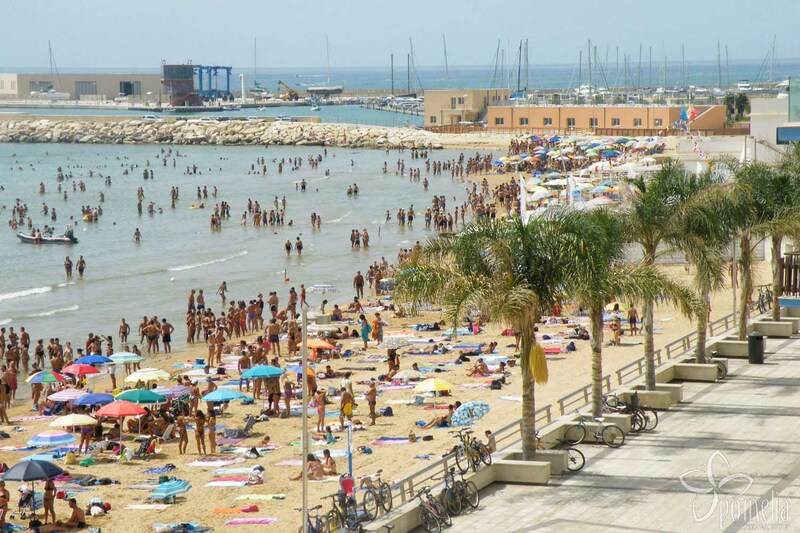 However, they are often crowded, especially at weekends and in the main tourist areas of Sicily. On the other hand, if of you like diving and snorkelling, then you will surely find rocky beaches much more interesting. 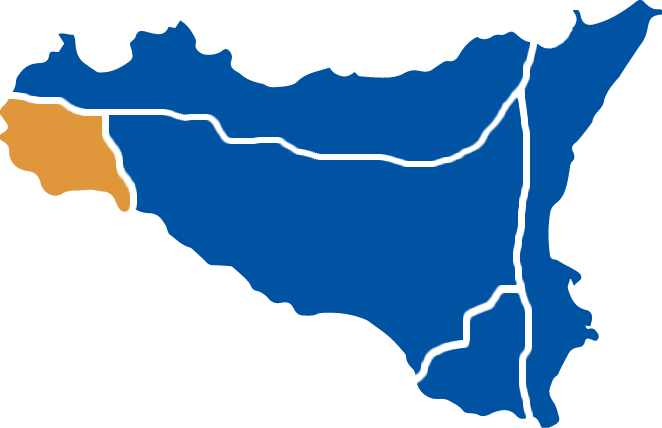 …Choose the right beach for you! 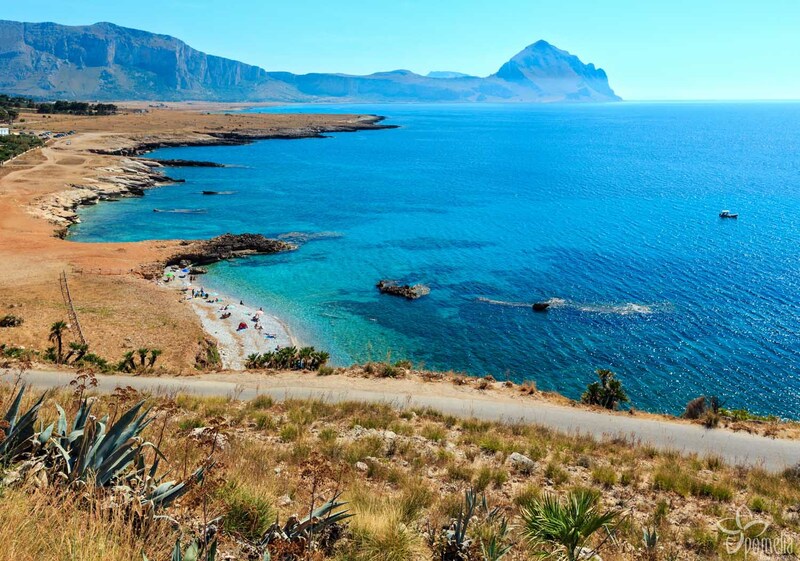 This guide to the Sicilian beaches will help you choose the beach that best fits your needs. Occasionally, you will also find our Insider tips. 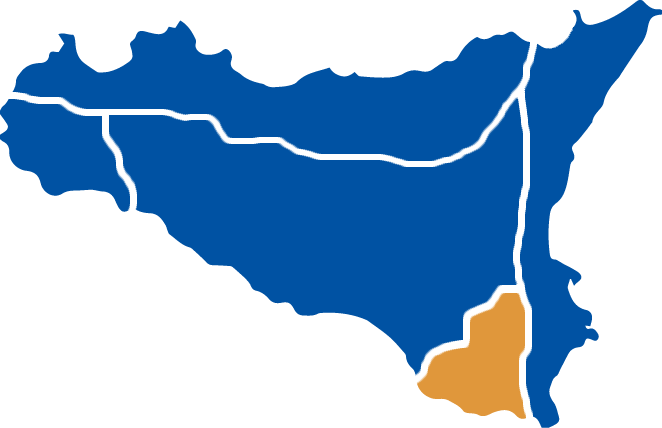 We will help you to find the right day of the week to avoid overcrowding or recommend beaches and places in Sicily of great natural beauty that are less frequented by tourists. 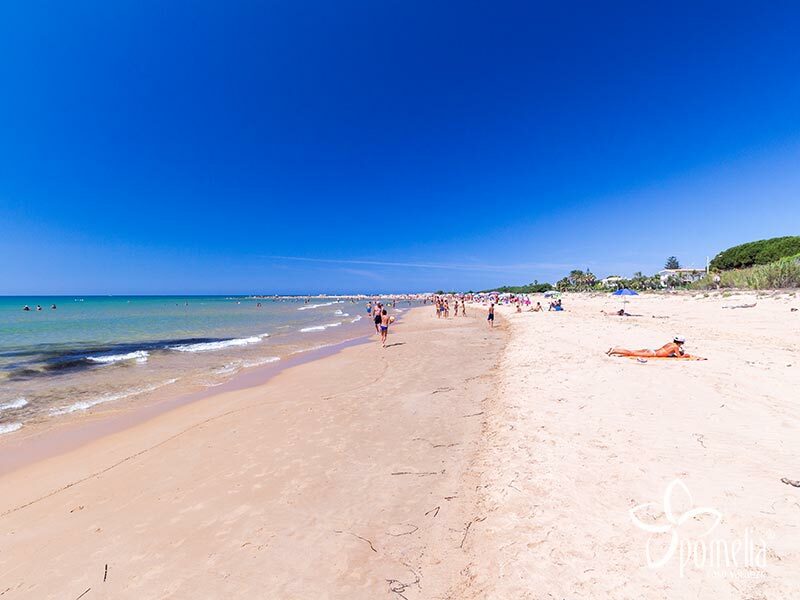 Most of the beaches of Scoglitti, located close to Ragusa and Vittoria, are pristine with fine golden sand, but there are some beach clubs equipped with deckchairs and umbrellas. The parking areas are free. This location can meet everyone’s needs, from families with children to couples or older people, with handy restaurants and bars. 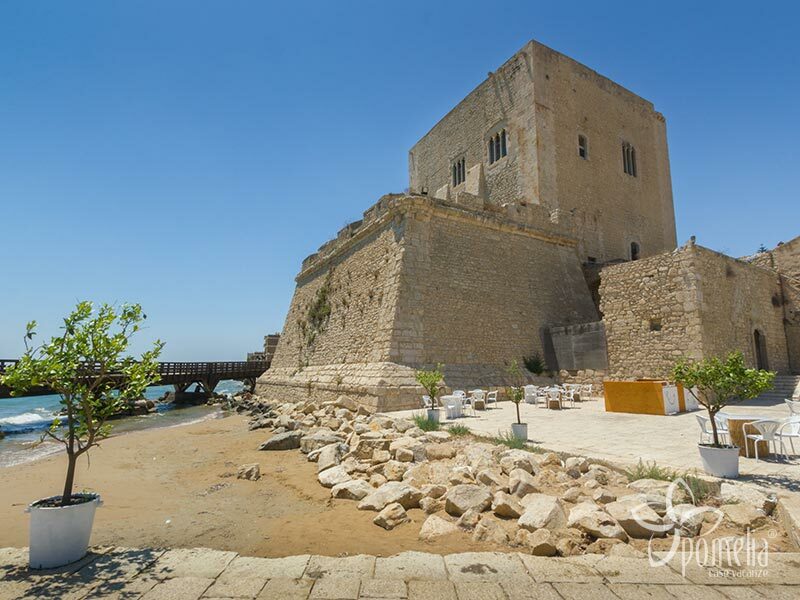 The beach of Kamarina, a few kilometres from Ragusa and featuring fine golden sand on a rocky coast, is a public beach that offers a beach club renting deckchairs and umbrellas. Behind the beach there are free parking areas. It is also ideal for families with children, thanks to its shallow waters and the services, such as a bar and a restaurant, offered by the beach club. Randello offers a beautiful pristine public golden beach, with services 3 km away. It is part of the Randello nature reserve, located near Ragusa, and it is ideal for lovers of nature and peace and quiet. At the entrance of the reserve, there are two secure parking areas, but the beach is a 1 km walk away. There is a beach club with bar and services. 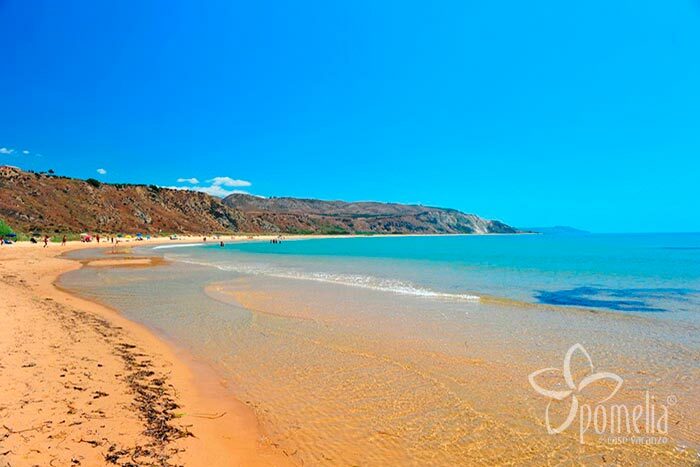 This beach with fine golden sand and rocks, a few kilometres from Ragusa, is very popular in July and August. There are plenty of beach clubs renting beach equipment. Thanks to its shallow sea, it is particularly suited to families with children, but it is also ideal for anyone wanting to spend time at the beach in total comfort. There is no lack of public seaside and free parking. Along the coast there are also several equipped camping sites. 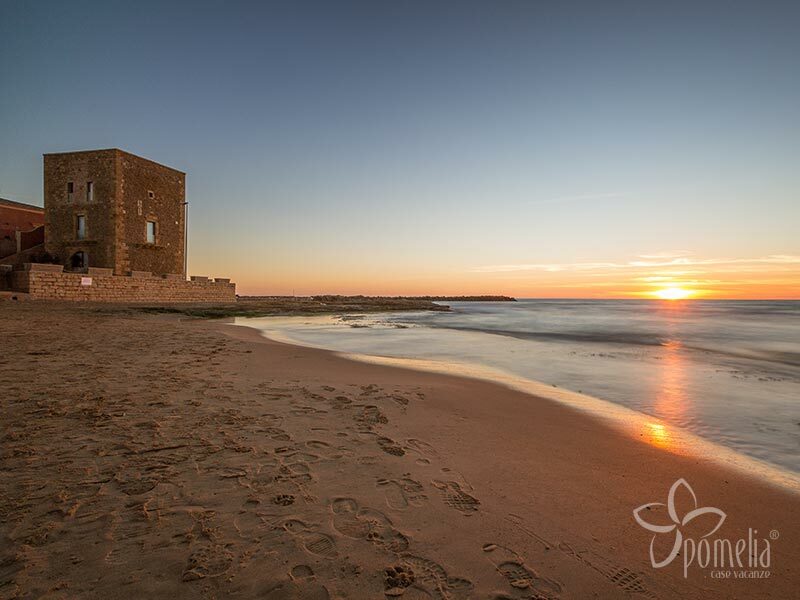 Torre di Mezzo is a small golden sandy beach, ideal for anyone seeking peace and quiet, as it is not crowded in summer. The public beach, located near Ragusa, offers a beach club with bar and restaurant and a beach volleyball field. There is ample parking behind. 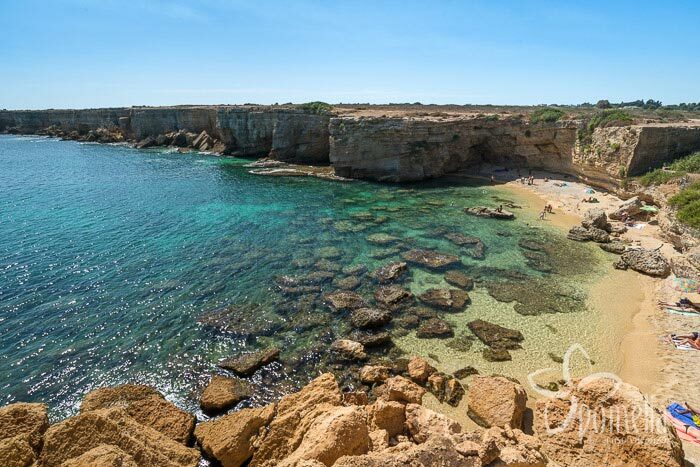 These charming golden sandy beaches, a few kilometres from Ragusa, alternate with rocks and have clear shallow waters. This very popular seaside resort, which is ideal for everyone, offers a variety of beach clubs and handy bars and restaurants. 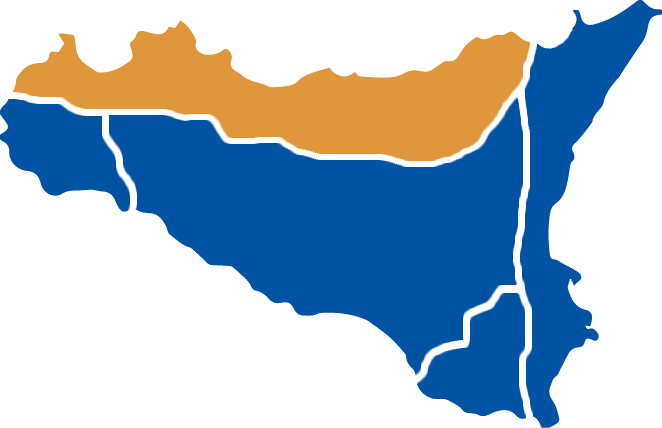 There are free parking spaces 200 metres from the beach and some secure parking areas available in July and August. Note that the area alongside the beach is a restricted traffic area. A pleasant public beach of golden sand with a rocky extremity. 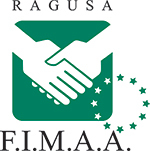 It is located close to Ragusa and is not crowded in summer. The nearest bars and restaurant are more than 500 metres away, but it is ideal for anyone seeking quiet and calm beaches. Car parking is available on the nearby promenade. 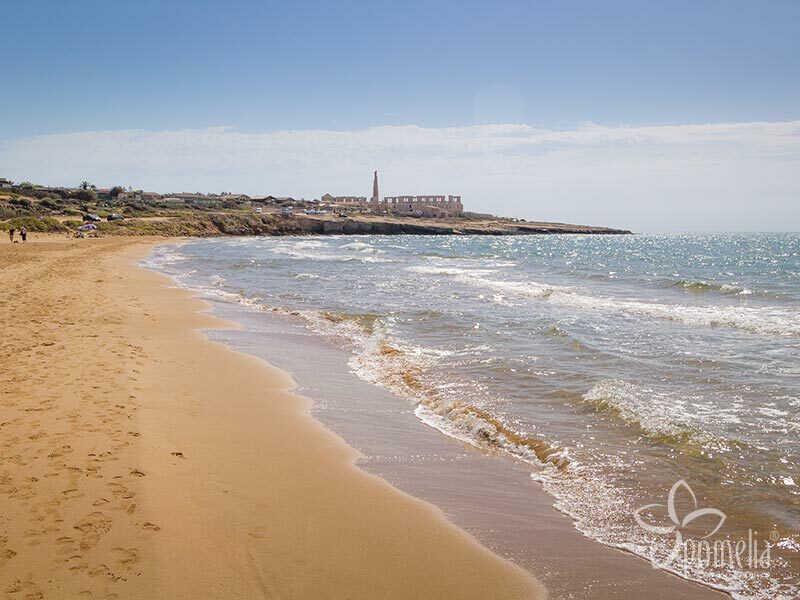 The golden sandy beach of Marina di Ragusa, near Ragusa, lapped by a limpid sea with a gently sloping seabed, is very popular with families, children and young people. The beach is free of charge, but there are also beach clubs with deckchairs, umbrellas, bars and restaurants. You can also practise beach and water sports. The promenade along the coast offers many free and paying parking spaces. 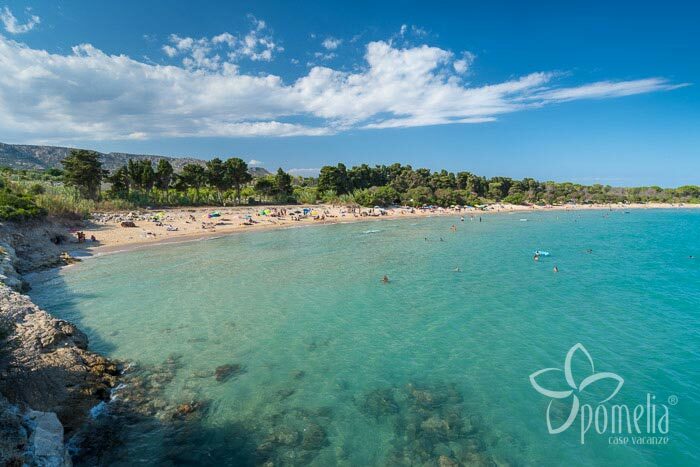 This unspoilt beach extends along a small bay of golden sand near Donnalucata and Scicli. It is crowded in July, August and during weekends and has a beach club renting deckchairs and umbrellas. There is a free car park just next to the beach. Donnalucata, near Scicli, boasts two wonderful beaches with fine golden sand: the main beach is next to the small marina and has a beach club. It also has a handy free parking area. The other beach, which is wild and 3 km long, has shallow and clear waters. It is suitable for anyone wanting to enjoy total relaxation while, on windy days, it is a true heaven for windsurfers and kitesurfers. This nice small beach, located near Scicli, is surrounded by two high cliffs and is very popular with young people. 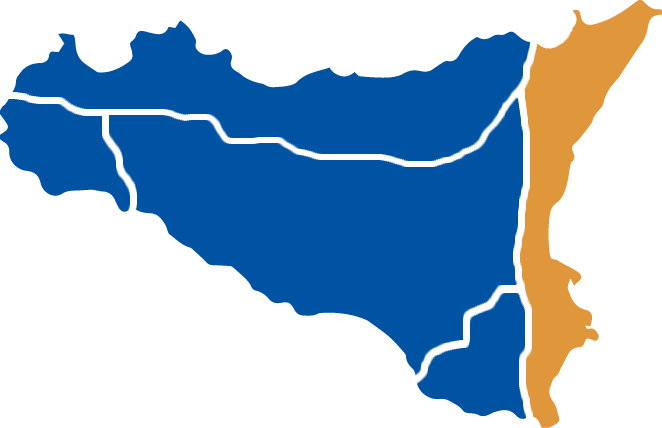 There are a number of events in summer, such as beach volleyball and beach soccer tournaments. The sand is very fine and golden. There is a beach club and several bars along the promenade. There are free parking areas a few metres from the beach. 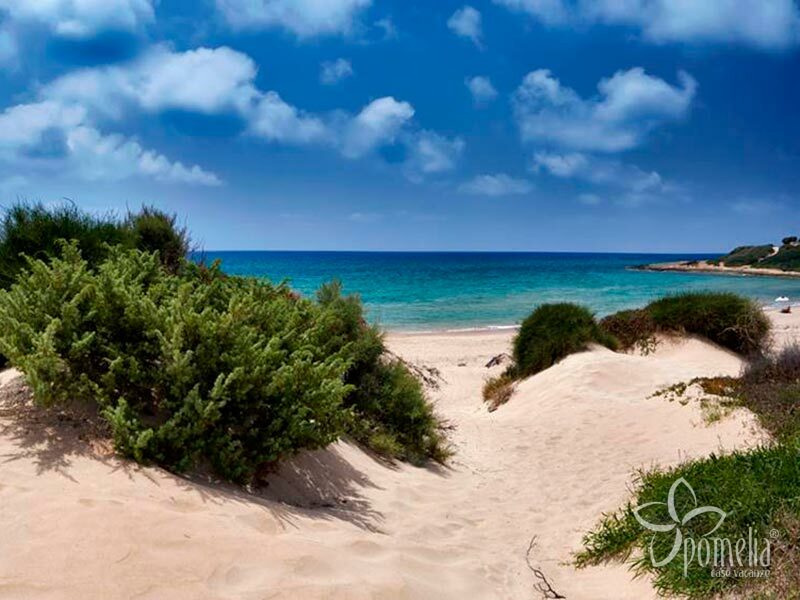 A picturesque wild and pristine sandy beach near the seaside hamlet of Sampieri, which is close to Scicli. The beach is public and never crowded, so it is perfect for anyone wanting to enjoy a secluded spot far from the madding crowd. There is a free car park behind the high sand dunes and a pizzeria with camping facilities. 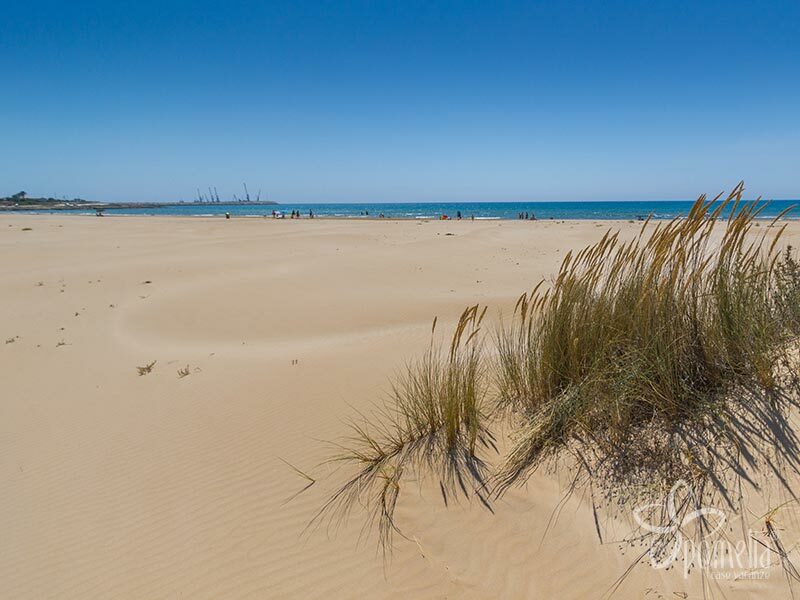 The long beach of Sampieri, a seaside hamlet near Scicli, offers a wonderful golden sandy beach, most of which is surrounded by a pine forest equipped with picnic tables. At the entrance, there is a large secure car park. The public beach is served by several beach clubs renting umbrellas and deckchairs, with a bar and restaurants. It is ideal for anyone who loves to spend relaxing days at the beach. 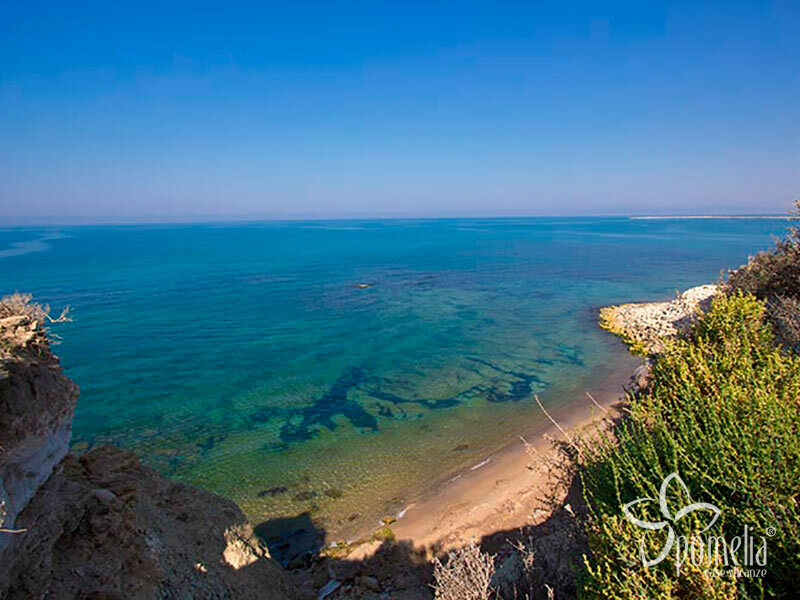 The end part of the beach of Sampieri is called Pisciotto, which is located near Modica and Scicli. Here there is a wonderful pristine beach of fine golden sand with crystal waters and a cliff, which is ideal for diving and snorkelling. There are no bars or services, but there is a picturesque travelling kiosk that serves the area in the high season selling cool drinks. Cars can be parked along the road flanking the beach. A beach of fine golden sand, cliffs and perfect waves for windsurfing: natural beauty and fun combined on this very lively public beach sporting several beach clubs, bars and restaurants. Its promenade has two ample parking areas and numerous beach clubs renting umbrellas and deckchairs. It is ideal for water sports lovers and anyone wanting to enjoy several beach activities. 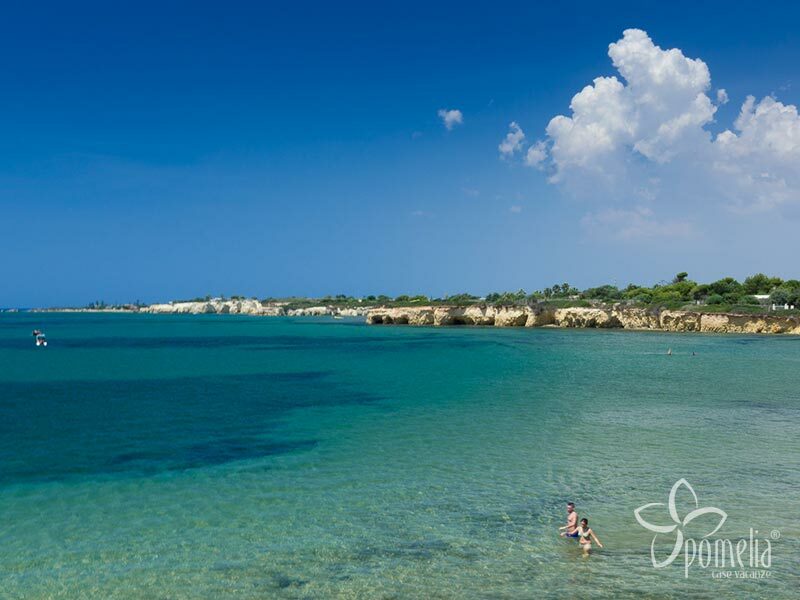 A lovely sandy beach, near Pozzallo, where you can relax in total peace even during the high season. It is ideal for anyone seeking tranquility or who enjoys a variety of beach activities. This public beach is served by several beach clubs where you can rent deckchairs and umbrellas or water sports equipment. You can park in an area close to the beach. A long beach of fine golden sand, with shallow waters and many beach clubs offering various services to bathers. The beach is located close to the promenade where you can park and is particularly suitable for families with children. It is close to the town centre, so you can easily reach bars, restaurants and clubs located near the beach. 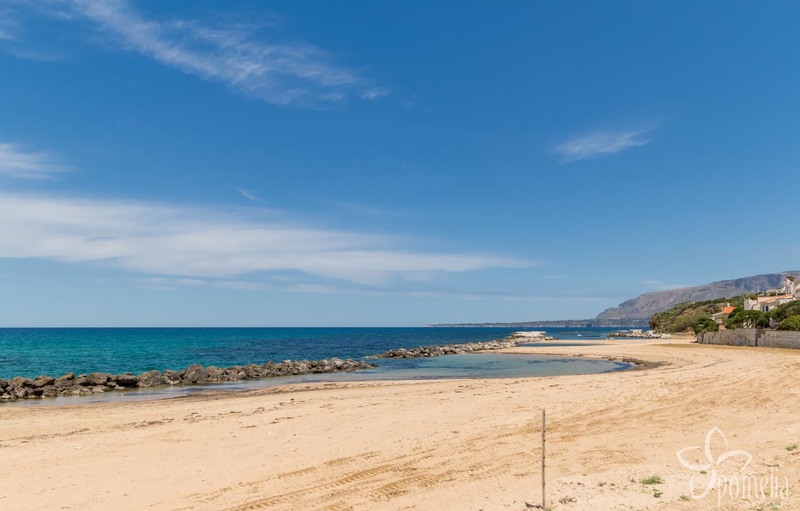 The wild and pristine beach of Santa Maria del Focallo, located near Ispica, is a true marine paradise for anyone who likes to relax on a stretch of fine golden sand. Some beach clubs serve the area. There are no parking spaces, but bathers often leave their cars by the side of the road. A pristine marine paradise, formed of sandy bays, cliffs and natural caves. 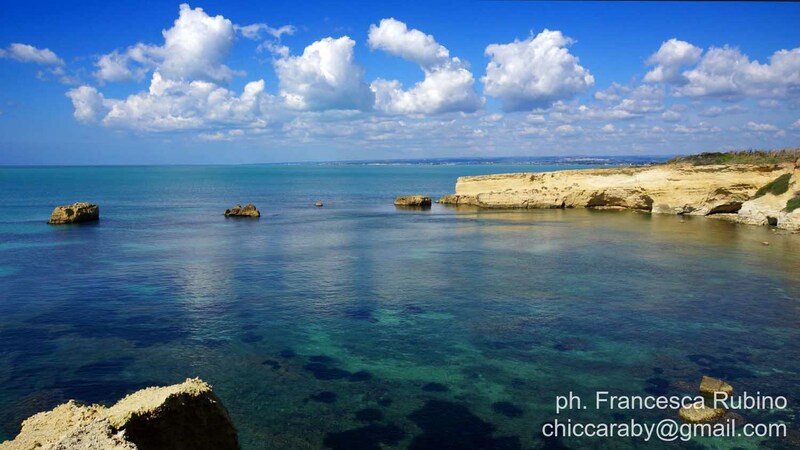 The beach of Punta Ciriga, near Ispica, is ideal for nature lovers or anyone wanting to relax in its shallow and clear waters or just walk along the cliff to admire the surrounding landscape. At the beginning of the cliff there is an area of old abandoned houses where you can park your car. There is just one beach club with a small bar and an area equipped for campers. Porto Ulisse sits in a bay of fine golden sand bordered by rocky cliffs. The public beach is served by a beach club with bar, restaurant and deckchair and umbrella rental. 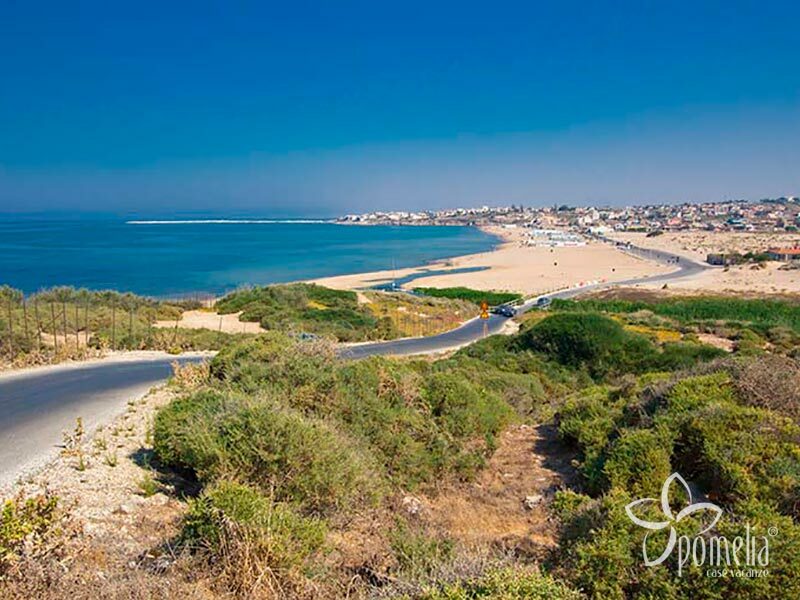 This beach near Ispica, which is very popular in summer, is a great place for anyone who loves comfort and nature at the same time. 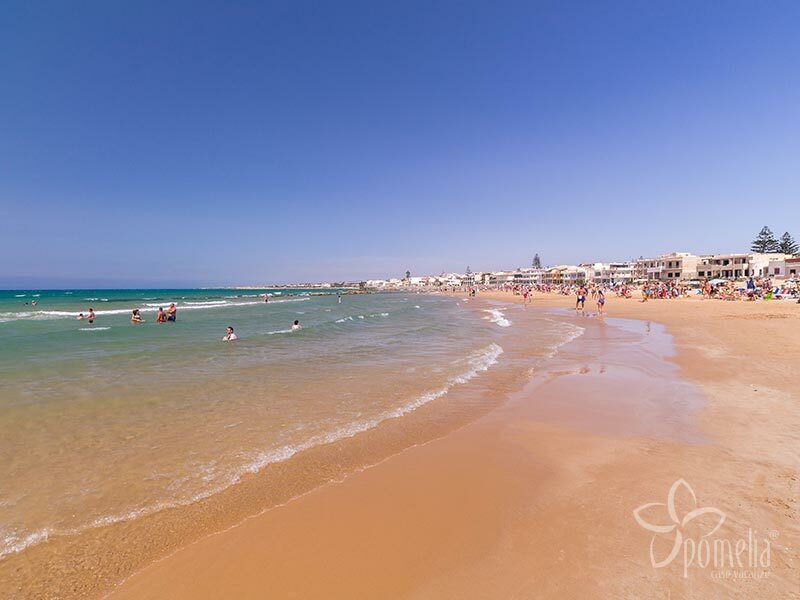 Granelli offers a long unspoilt beach of fine golden sand with a gently sloping seabed. 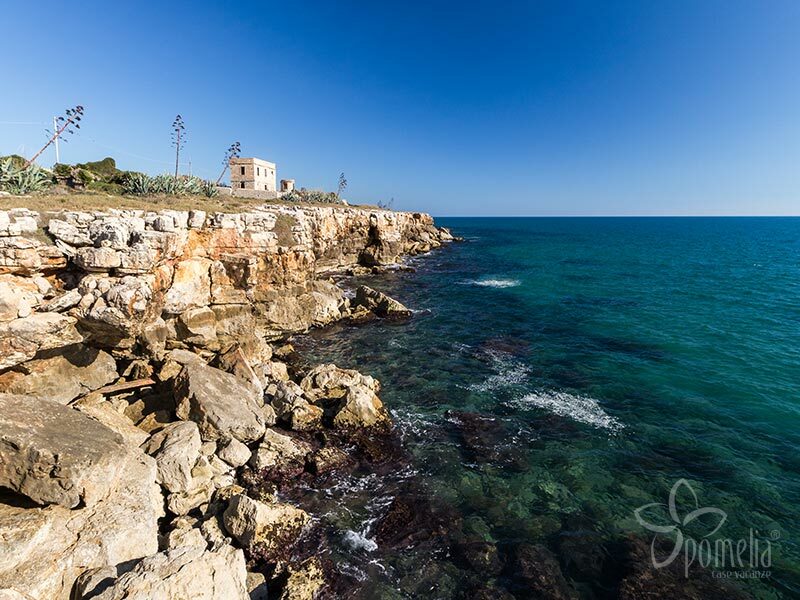 Located between Ragusa and Syracuse, the seaside is particularly suitable for anyone seeking tranquillity away from the crowds. There is a beach club where you can find refreshment and rent deckchairs and umbrellas. It is also possible to park in the small roads alongside the beach. 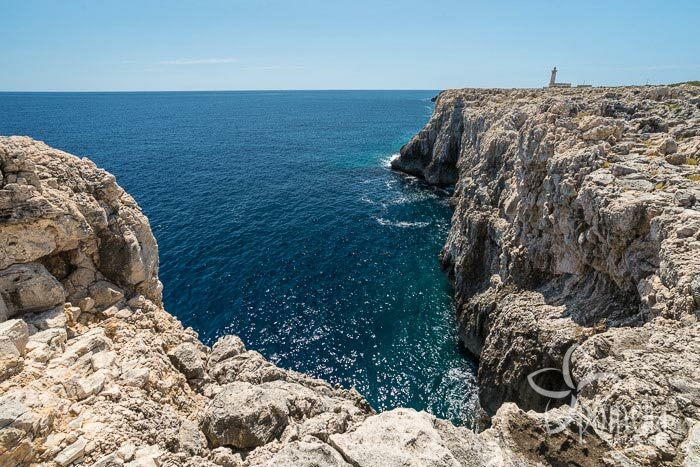 This is a completely unspoilt and wild rocky promontory, a place near Syracuse that lovers of nature and special places will enjoy discovering. The clear waters are ideal for diving and snorkelling. It is near the watershed between the Mediterranean Sea and the Ionian Sea (Isola delle Correnti), so there may be winds and strong sea currents. There is a parking area next to the cliff. 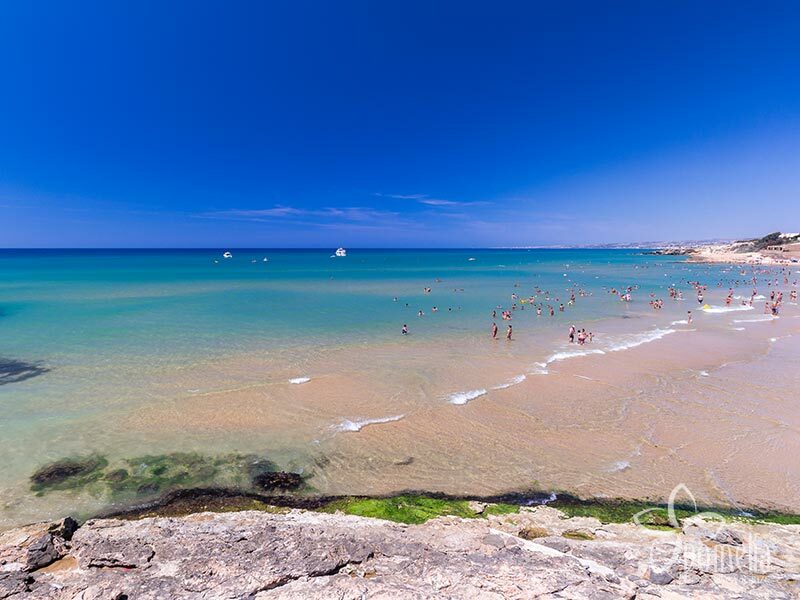 The public beach of Playa Carratois is formed of fine golden sand and is located near Syracuse. The clear waters and quiet location make it a true paradise for anyone wanting to relax, while on windy days it is ideal for windsurfing. The beach is served by beach clubs and bars. Very picturesque golden sandy beach, located a few kilometres from Syracuse, which is swept by strong currents, as it acts as a watershed between the Mediterranean and the Ionian seas. For this reason, these waters are recommended for expert swimmers only. Nature lovers will enjoy the fascinating island to explore during low tide, while there are equipped areas for those wanting to relax on the beach with services. There is free parking just a few metres from the beach. Fine sandy beaches alternate with a rocky coast and a seabed of varying depth. 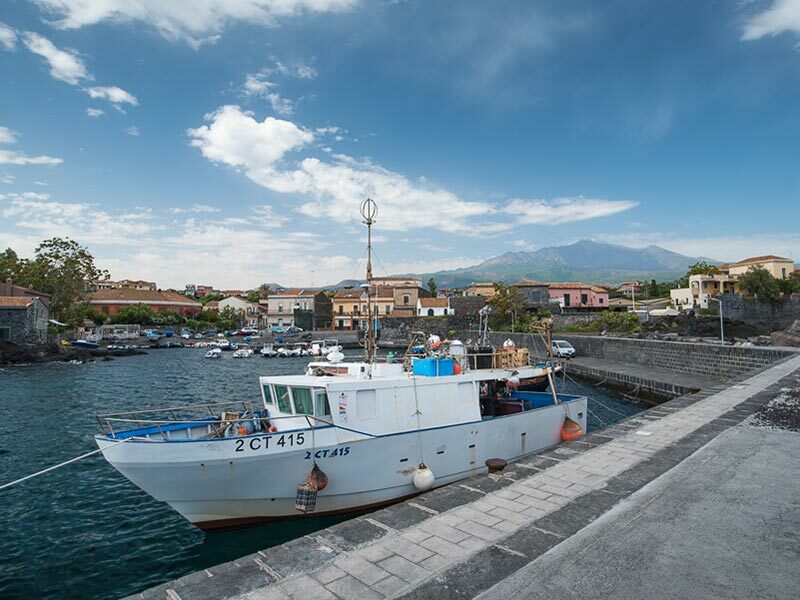 This very charming seaside resort, 60 km from Syracuse, is perfect for snorkelling and diving, as it offers several underwater areas and reefs to explore. The seafront also offers various services to bathers, including bars, restaurants, deckchairs and umbrellas, free and paying parking (blue stripes) near the beach. The area is particularly exposed to winds and currents. 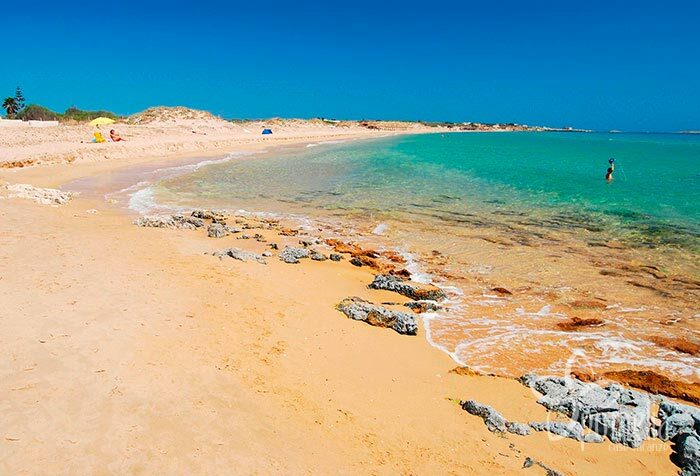 This quiet beach of golden and grainy sand, situated near Marzamemi, offers a lovely bay with clear and deep waters. In summer it is quite popular and is served by a beach club with bars and beach equipment rentals. The access to the beach has a small parking area. The equipped public beaches, located near Syracuse, feature fine golden sand and are lapped by deep crystal waters. Very popular with tourists, the area is well served by beaches offering a range of services, including bars, restaurants and beach equipment rentals. A few metres from the shore, there are several paying parking areas (the cost ranges from €2 to €10, depending on the length of your stay) and some excellent fish restaurants, for anyone wishing to spend a whole day at the beach and have lunch there too. This beach combines an enchanting sea with good facilities, a few kilometres from Noto. The long coastline of San Lorenzo, with its gray-white sand, is served by beach clubs, except for a few public but often overcrowded areas. All the beach clubs offer umbrellas and deckchairs and children's playgrounds, as well as restaurants, bars, showers and toilets. In some cases, you can rent pedal boats or other water sports equipment. This beach is very popular in the summer, but there are large paid car parks a short distance away. 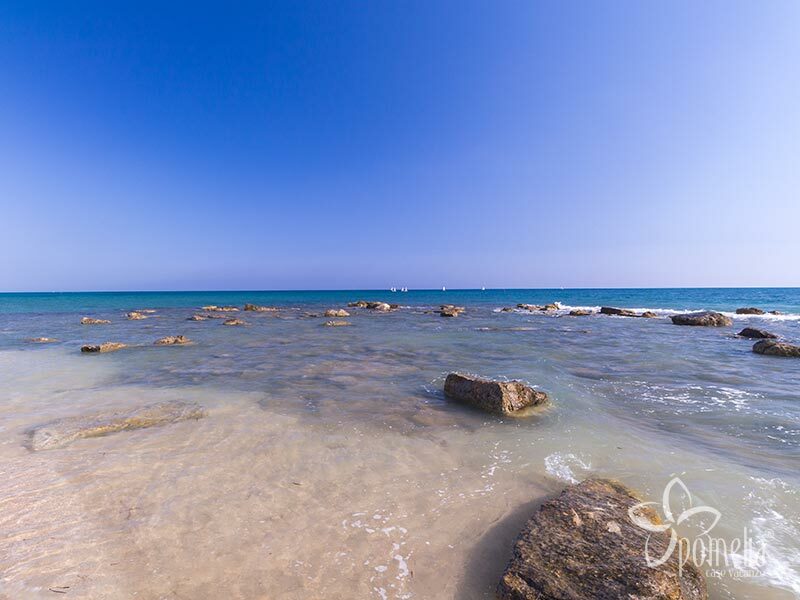 The beach at Vendicari features open sand, rocks and shallow waters; it is located at the entrance to the nature reserve of the same name, near Marzamemi and Syracuse. 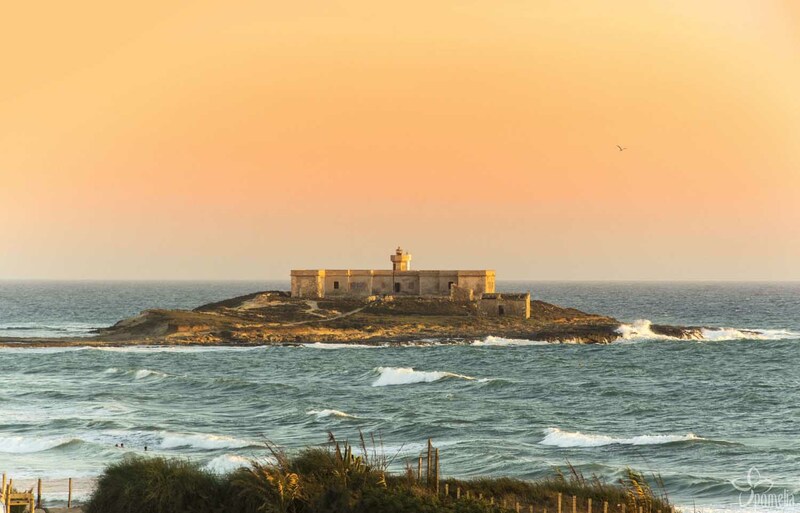 There is a charge for access to the reserve and the car must be parked in a parking area equipped with bars and showers from which, after a short walk, you reach the completely wild and unspoilt beach. It is definitely the easiest one to reach because it is closer to the car parks, but it is full of charm especially near the cliffs, where you can admire the underwater life with fins and snorkel. 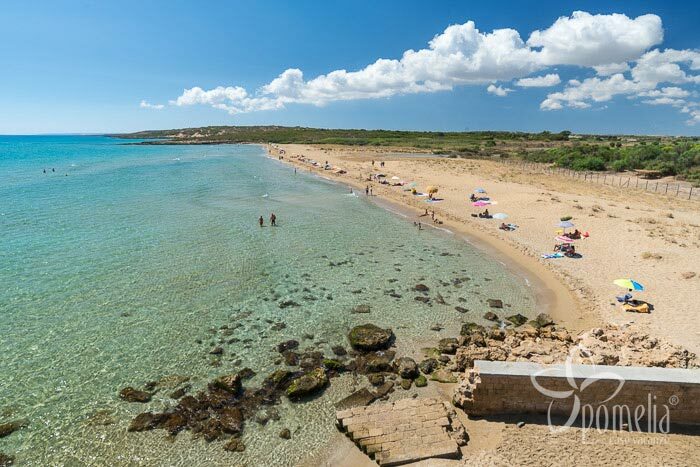 The beach of Calamosche is located inside the protected Vendicari nature reserve, near Noto and Syracuse. It consists of a sandy bay bordered by high cliffs. The waters are shallow and the landscape makes this beach particularly fascinating for nature lovers. To reach it you have to walk for about 1 km inside the reserve, starting from the parking area. There are no beach clubs, but the car park has showers and a refreshment area. 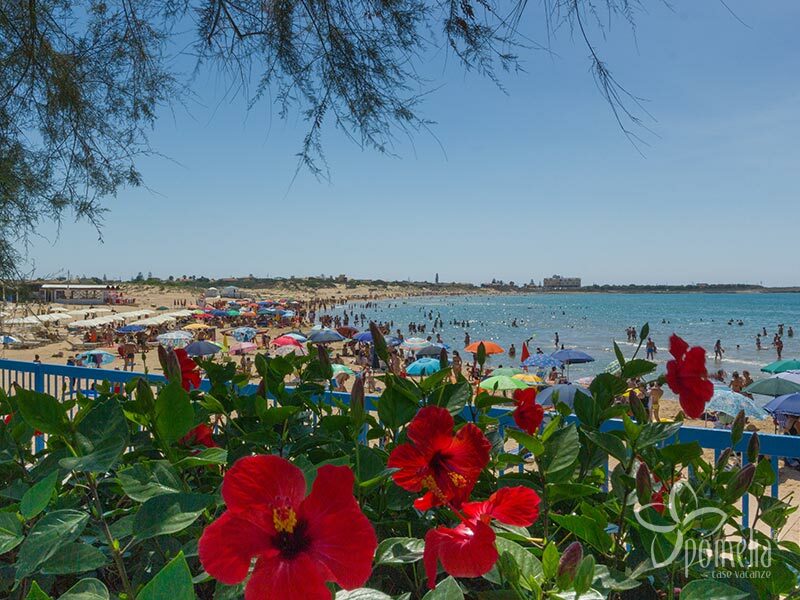 The beach of Marianelli is a small corner of paradise immersed in a quiet area, which is why it is a favourite destination for naturists and privacy lovers. The golden sand surrounded by tall dunes covered with vegetation protects it from prying eyes. 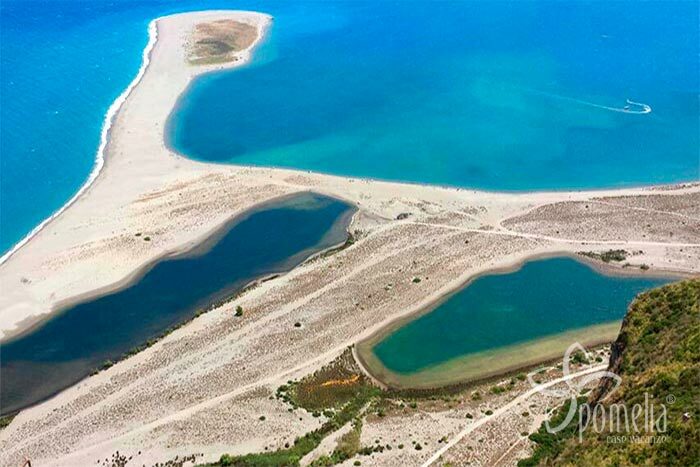 Immersed in the enchanting Vendicari reserve, near Syracuse, it can be reached along a path through the protected area. At the entrance there is a car park equipped with showers and a refreshment area. 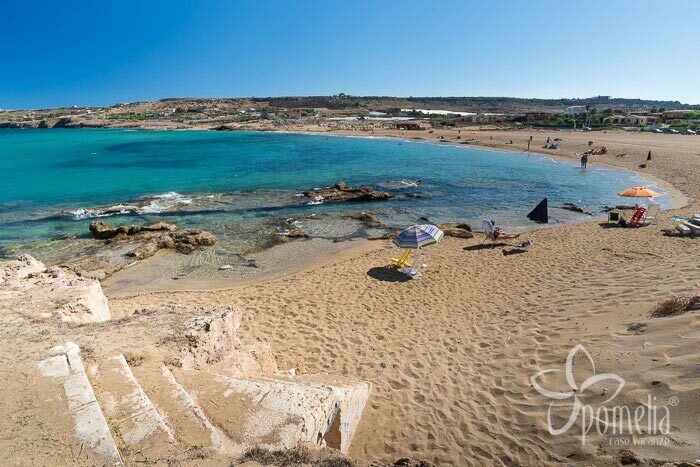 This pretty and unspoilt wild beach is located in the Vendicari nature reserve, near Syracuse and Noto. It is accessible along a path, after leaving the car in the parking area (prices vary from €2.50 to €5.00). There is also a refreshment area and showers. Recommended for those who love nature and tranquility. Lido di Noto is a golden sandy beach with shallow waters, well served by beach clubs, but also with large public bathing areas. This place, located 8 km from Noto, is very popular and appreciated even by families with children, thanks to the various services and facilities offered to bathers. Suitable also for those who love beach and water sports, this beach has sports fields and equipment rentals. There is a handy car park. 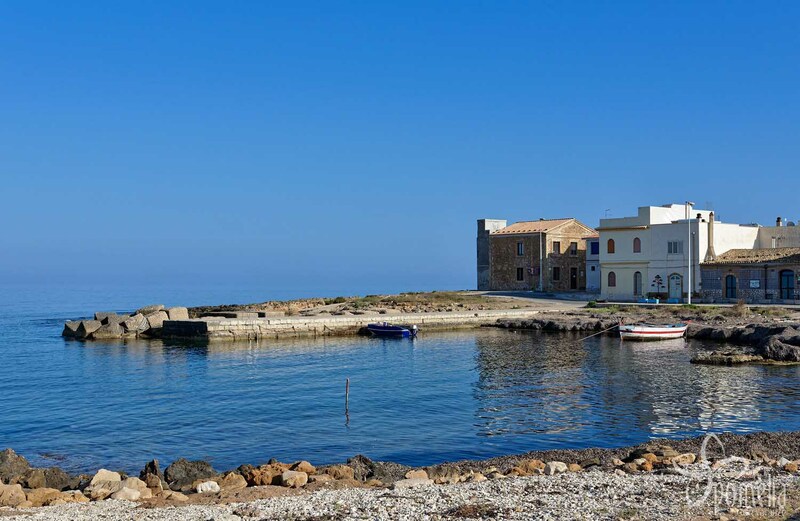 Calabernardo is a seaside resort in the south east of Sicily, a small hamlet nearby Noto, from which it is 7 km. The small beach consists of a bay of golden sand that is totally free-access. The blue and crystalline waters have gently sloping seabed. 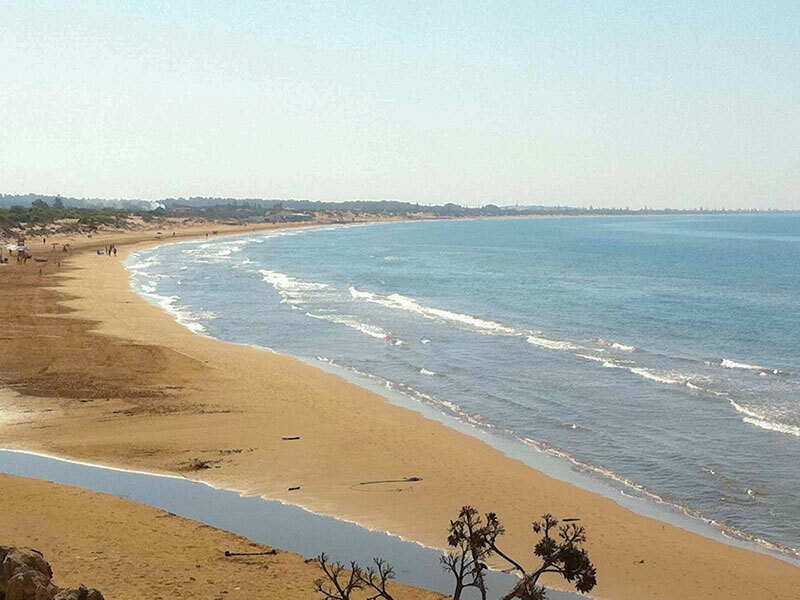 Large, public golden sandy beach with shallow waters and several equipped areas, located near Avola. The resort is very popular among tourists and is perfect for anyone looking for a beach offering a variety of facilities, from beach umbrellas to pedal boat rental for relaxing excursions in the sea. You can easily park along the road or in the adjacent streets. 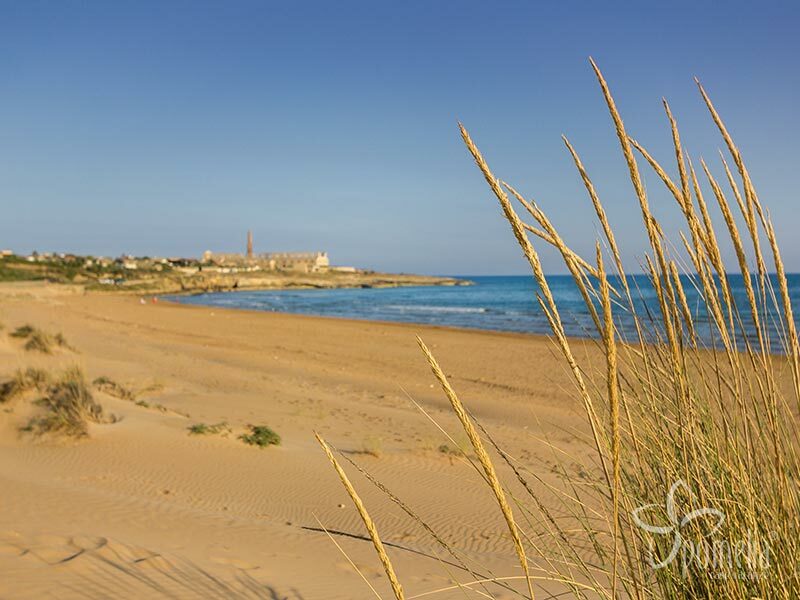 The small beach of Gallina, 5 km from Avola, consists of a narrow stretch of golden sand lapped by a beautiful turquoise sea. It is a quiet location served by a small beach club and a convenient car park at the end of the bay, at the foot of a cliff. Ideal for anyone looking for a tranquil beach. 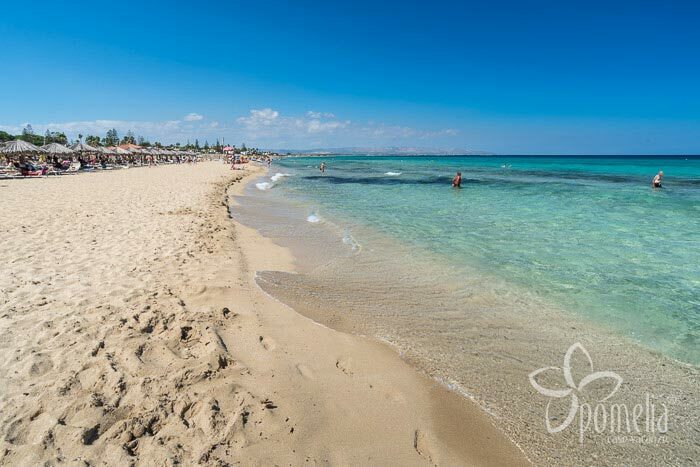 The beach of Gelsomineto, 26 km from Syracuse, is a small natural oasis of fine white sand and clear waters. The pine forest surrounding the beach offers a picnic area and a car park. It is ideal for spending a quiet day at the beach in the midst of unspoilt nature. 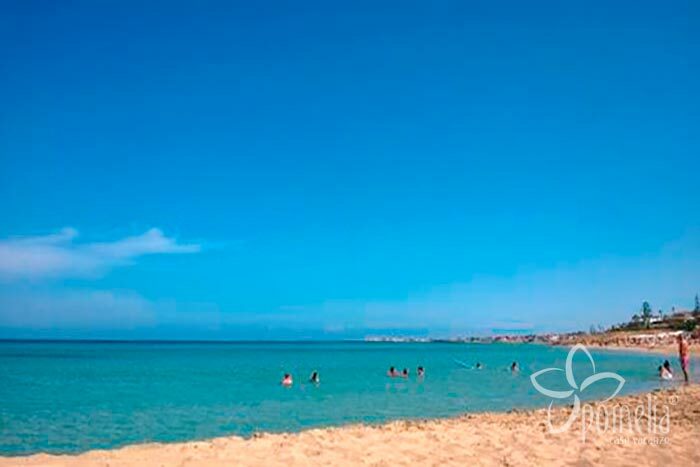 Fontane Bianche is a beautiful white sandy beach with shallow waters, a few steps from Syracuse. Much of the coast is occupied by beach clubs offering various services (beach umbrella rentals, pedal boats, canoes, bar and restaurant service) and there are parking areas about a hundred metres away. 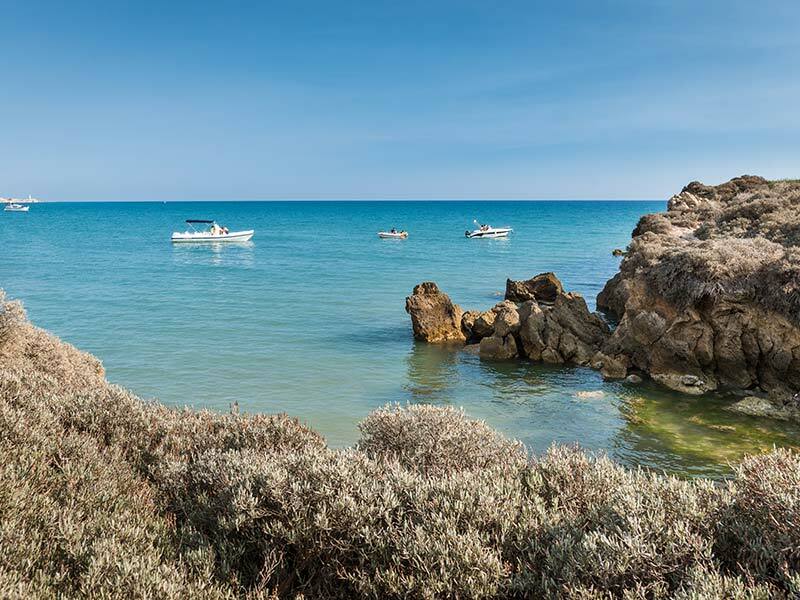 It is certainly one of the most beautiful beaches in the south-east of Sicily, which is why in summer it is very popular and sometimes crowded. 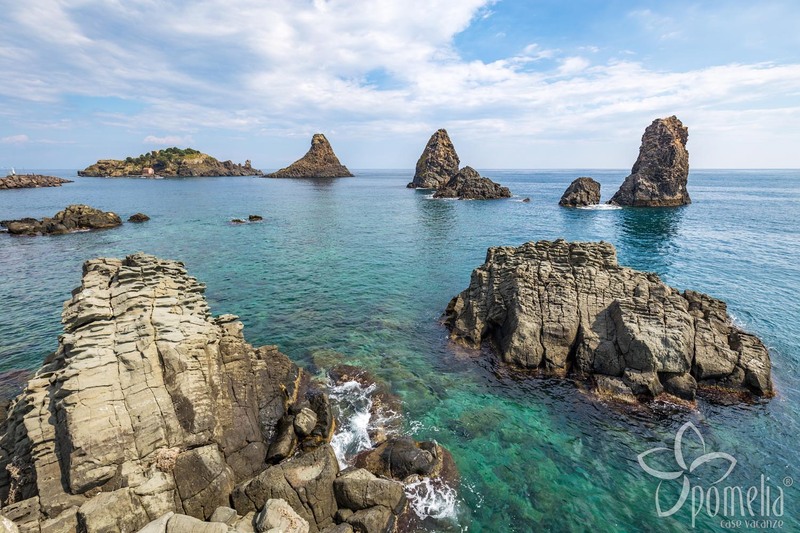 A long coastline rich in rocky inlets and outcrops, 13 km from Syracuse, suitable for snorkelling and diving. In some areas there are beach clubs where small boats can be rented. Do not confuse this beach with the better known Ognina beach near Catania. 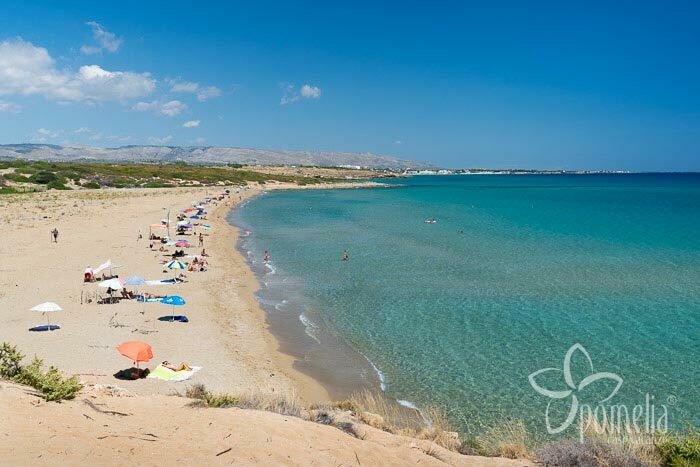 An enchanting beach of golden sand and rocks near Syracuse, which meets many different needs. The sandy beach offers a variety of services to bathers, from rental of beach umbrellas, deckchairs and pedal boats, to showers, bars, restaurants and car parks. It is quite crowded in summer, but is quiet early and late in the season. The cliffs are a perfect place for appreciating this clear sea. The Plemmirio is a protected marine reserve with free entrance close to Syracuse, with many cliffs, underwater caves and rocky or sandy coves. A true marine paradise for lovers of diving and snorkeling, which can be practised in the deeper seabed of the coves. The coast is also recommended for hiking along the top of the cliffs, from where you can admire a beautiful view. The area is completely wild, with the exception of a few bars and restaurants that can be reached by car. You can park close to the various cliffs or coves where you wish to stop. The beach of Minareto, of light, grainy sand, is a cove near Syracuse, part of which is private (accessible only to hotel guests) and part public. It is accessible via a stairway along a cliff and is ideal if you want to relax away from the crowds and enjoy a crystal sea. It is located between the beautiful cliffs of Plemmirio and you can park a hundred metres from the entrance. A charming cove of grainy sand and rocks opens up between the rocky spurs of the Plemmirio, near Syracuse. It is quite difficult to reach, as you have to go down a path along the cliff. However, it is a must-see for anyone who loves wild beaches surrounded by nature and wants to explore the seabed by snorkelling. You can park at the start of the path leading to the beach. 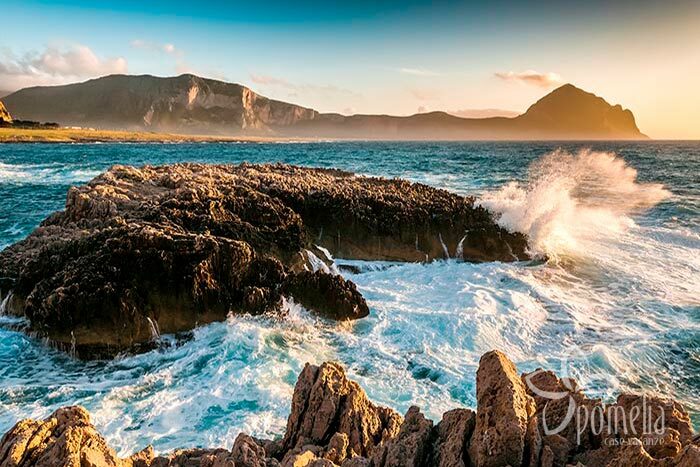 The coast of Brucoli, near Augusta, has many cliffs, inlets, sea caves and pebble beaches, which are a particularly beautiful destination for anyone wanting to dive and snorkel in its turquoise waters. The sea, sheltered from the currents and wind, stays mostly calm and offers many areas to explore. Some areas near the town have services, such as bars and restaurants, and parking areas. 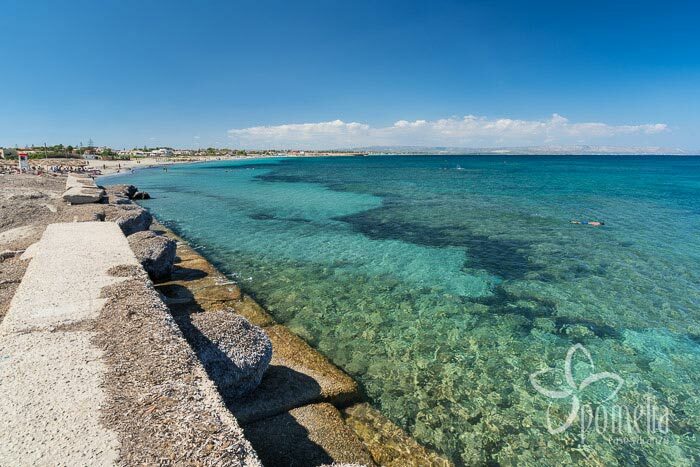 La Playa is the main and largest beach of Catania, and is formed by fine golden sand with shallow waters. It is the ideal place to enjoy the sea and there is easy parking (free and paying). 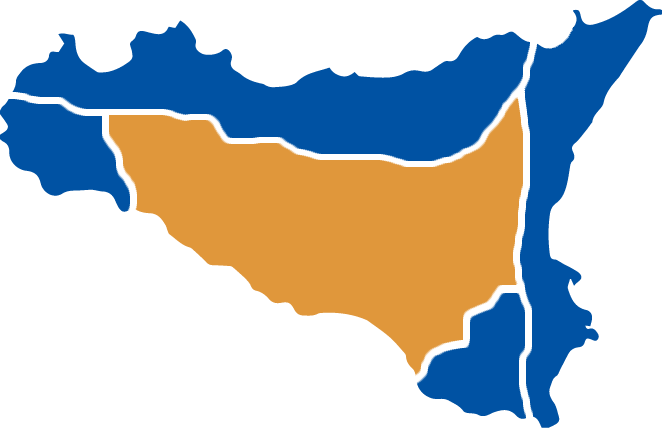 The beach offers many services ideal for families with children: showers, bars, restaurants and beach equipment rentals, as well as several beach volleyball fields, camping areas and a water park. 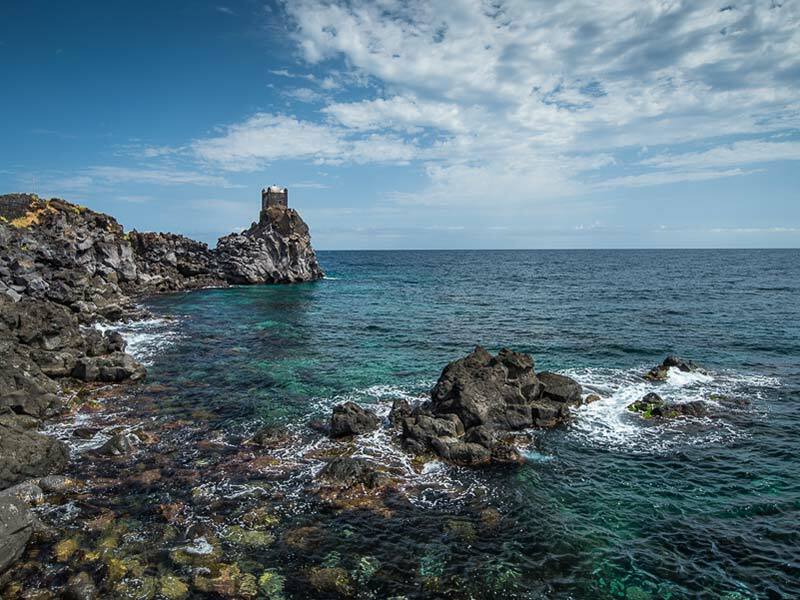 The black lava cliffs of Aci Castello, near Catania, are a true paradise for anyone who loves diving and exploring the very beautiful seabed. The rocks are accessible along boardwalks where you can also sunbathe. The beach is located near the town, so it is easy to park nearby and reach bars and restaurants. The waters are very deep, so we recommend this place for experienced swimmers. 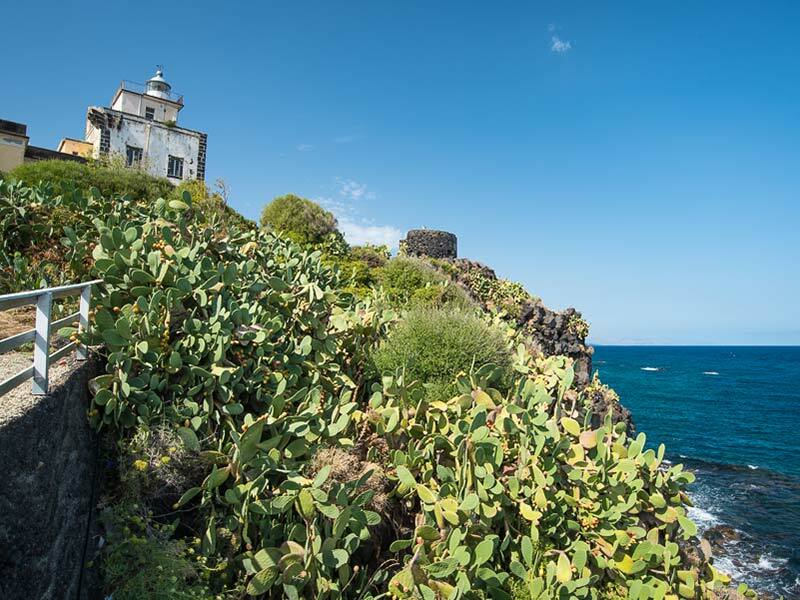 Famous for its sea columns, Aci Trezza, a seaside village near Catania, is rich in lava cliffs equipped with boardwalks for bathing. Access is free, but there are also numerous beach clubs with umbrellas, deckchairs, bars and restaurants. The waters are deep, so they are suitable for competent swimmers and divers. There is free and paying parking. 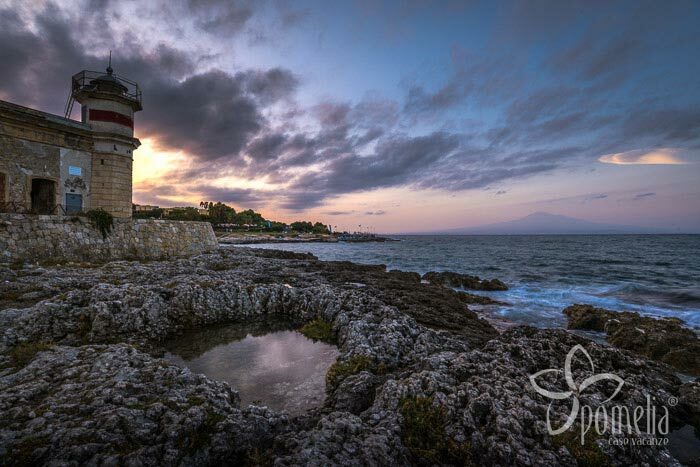 The beach of Capo Mulini, situated near Catania, features gravel and lava cliffs and is equipped with boardwalks for easy access to the sea. It is a tranquil place, ideal if you want to relax and enjoy deep and clear waters. Bars and restaurants are a short distance away. 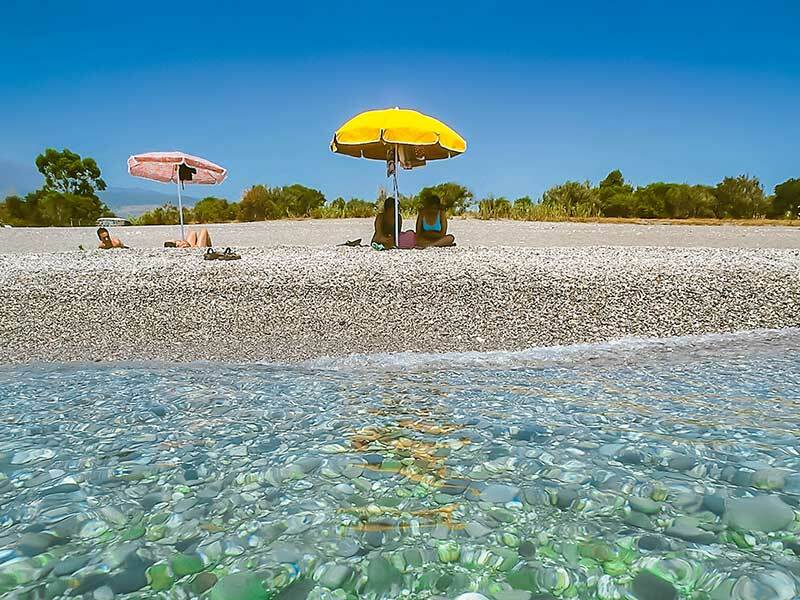 The public beach near Catania, composed of gravel and pebbles, is located in this small village and is served by beach clubs and boardwalks for easy access to the sea. The deep, clear waters are suitable for divers and able swimmers. You can park in the parking areas located near the beach. 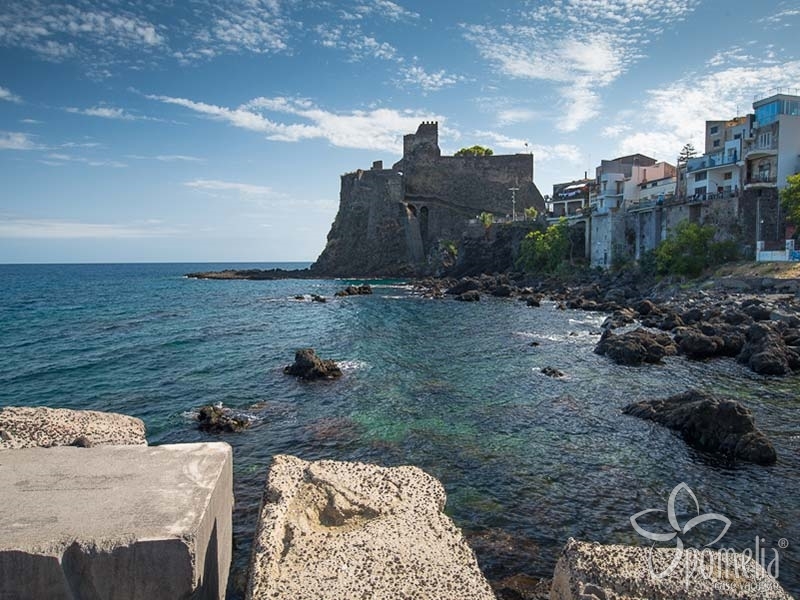 The beach of Santa Tecla, 22 km from Catania, consists of black lava gravel and offers beach clubs that rent umbrellas and deckchairs and has a bar/restaurant. Its deep waters and the blue sea are ideal for long swims, snorkelling and diving. Along the coast of Stazzo, near Acireale, there are small pebble beaches alternating with lava cliffs, which are equipped with boardwalks for bathing. 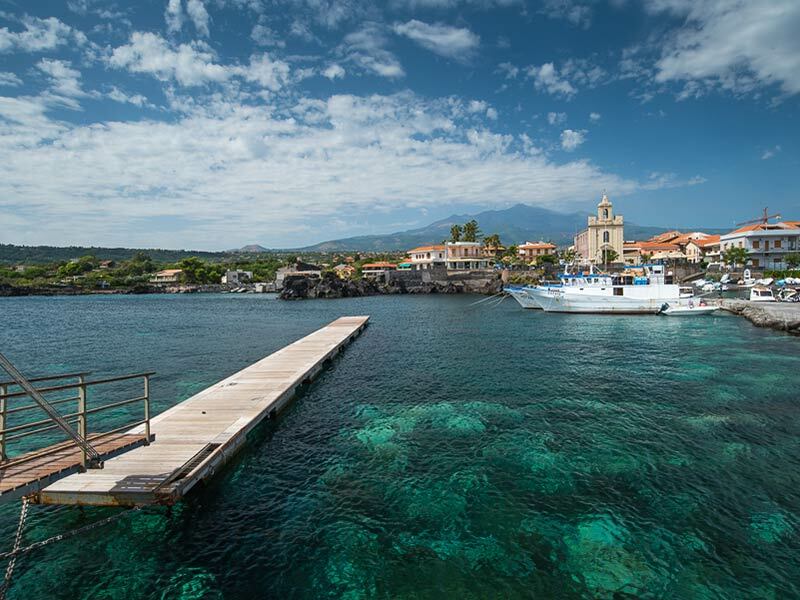 It is a charming place for diving and snorkelling lovers. Bars, restaurants and parking (free and paying) are located nearby. The beach of Pozzillo, located near Catania, has gravelly sand and lava cliffs. It has boardwalks for easy access to the water. The rocks, and the deep and clear sea are the perfect combination for anyone who loves long swims, diving and snorkelling. Bar and parking areas are a short distance away. 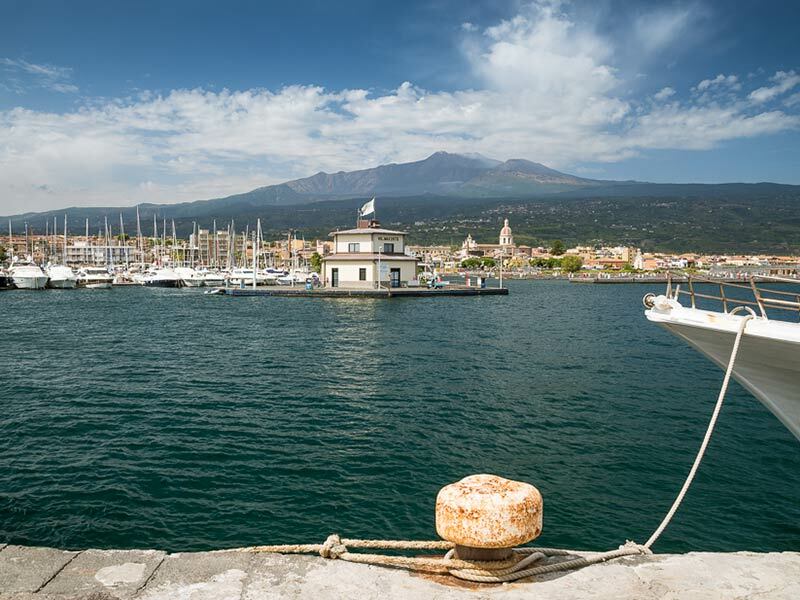 This town has a pebble beach with public access and is situated near Catania. In the high season there are also beach clubs offering a variety of services. 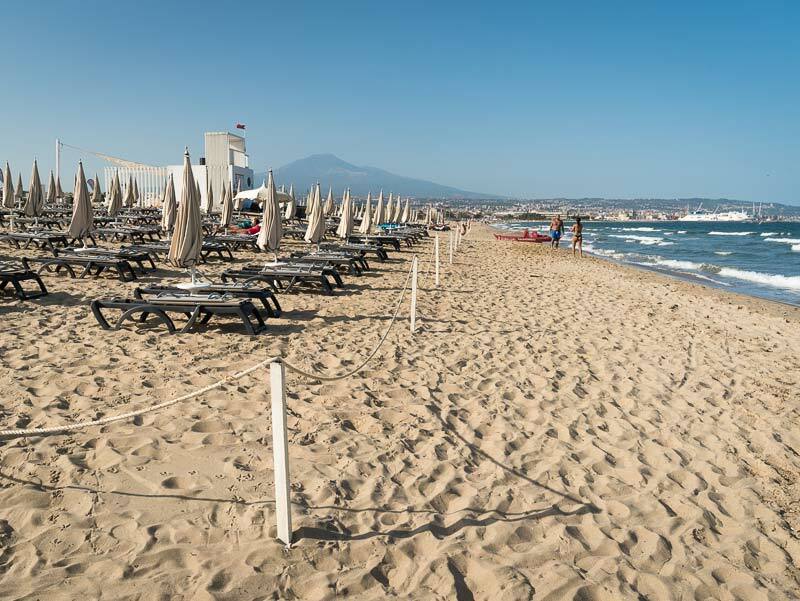 The beach is suitable for families, children and anyone wanting to relax in a beautiful location at the foot of Etna. 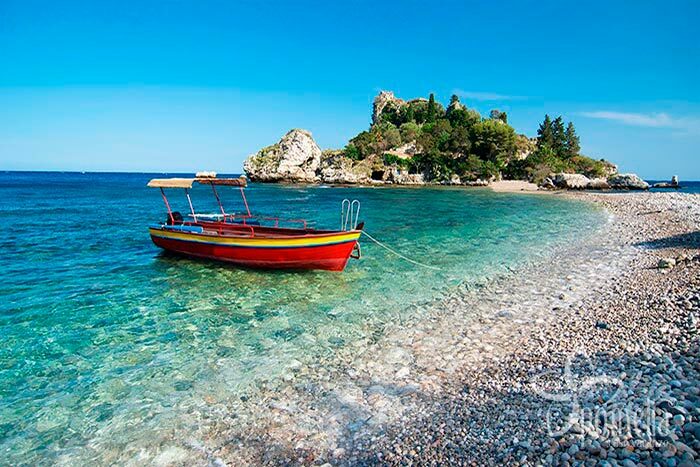 Fondachello is a very famous and popular seaside resort between Acireale and Taormina. The beach is made of grainy sand and pebbles and offers public areas and areas equipped with beach clubs. Its clear, deep waters are full of life and a true paradise for divers. Paying parking areas are available in summer. The long beach of this famous Sicilian seaside resort near Taormina consists of fine, grey gravel, but varies depending on the area. Its crystalline waters deepen just a few metres from the shore. The beach is public but also served by numerous beach clubs with showers, bars, restaurants, beach equipment and a rescue service. Activities such as paragliding, parasailing and paraflying can be practised. There is free and paying parking. 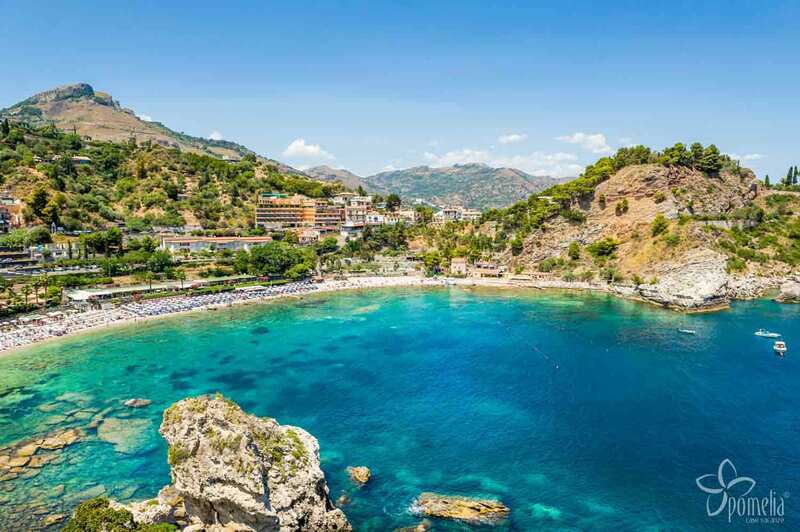 This scenic pebble beach with crystalline waters is connected to a small island by a stone causeway, and is one of the best known and most visited seaside resorts in Sicily near Taormina. The narrow beach is public and partly served by beach clubs. You can explore the island by paying an inexpensive ticket or take a motorboat or boat ride around it. There is free or paying parking on the road along the beach. This strip of clear sand, shaped by the sea currents, rises under a high promontory and can be reached along a footpath through a nature reserve, located near Messina. At the entrance there is a parking lot. Since it is not easily accessible, this beach is still wild and rarely frequented. 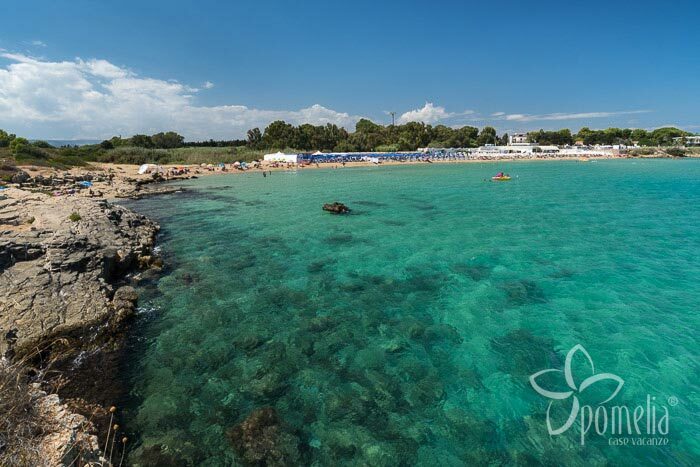 Gioiosa Marea offers different free beaches characterized by fine grey sand or grainy sand. 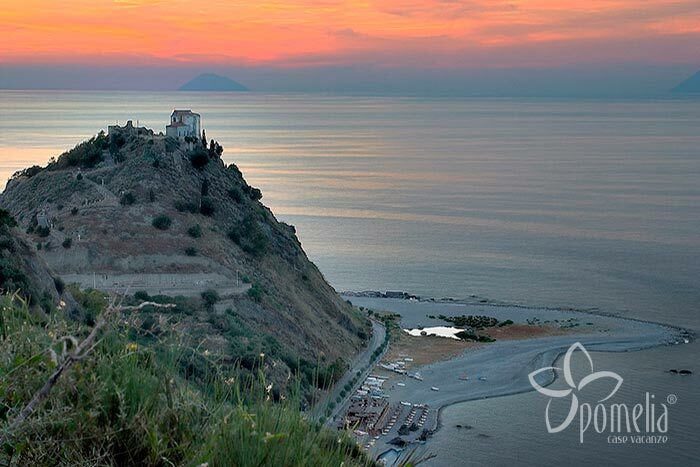 The location of this seaside resort, located between the sea and the mountains of the Nebrodi Park, makes its beaches very fascinating and offers beautiful landscapes with the view of the Aeolian Islands in the background. A pleasant destination for a relaxing escape from the city chaos. 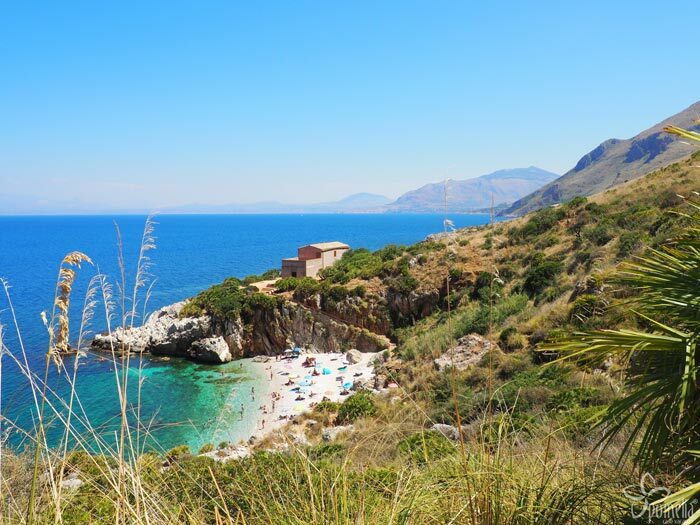 The grey grainy beach of Capo d’Orlando features shallow waters and a very charming location. 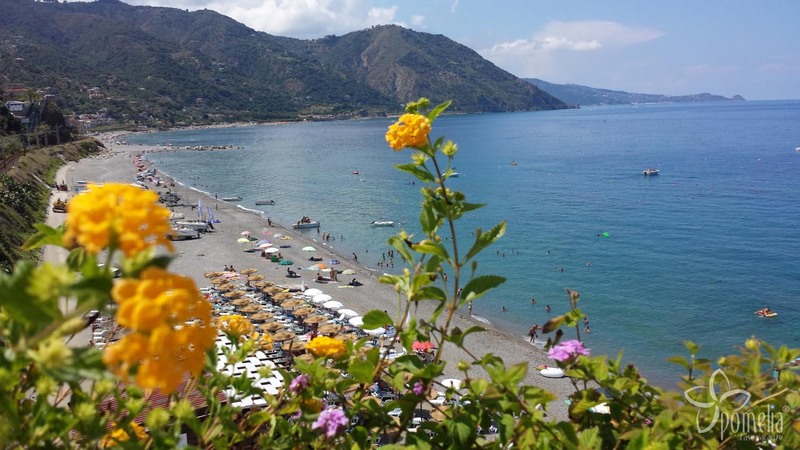 This very famous seaside resort near Messina is public, but also served by beach clubs. 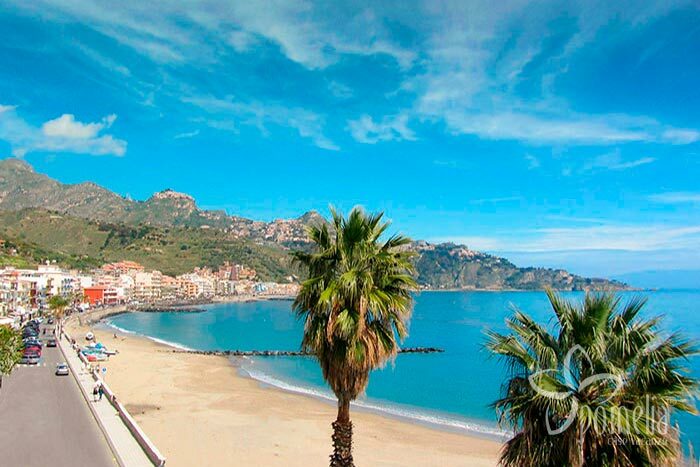 Ideal for families, young people and couples, it is one of the most popular beaches in Sicily. On the seafront there are paying parking areas (blue lines). 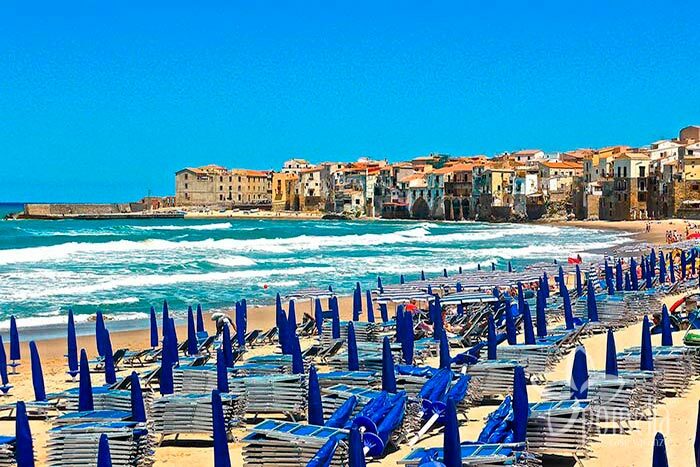 Cefalù encircles a long beach of light sand, visited by hundreds of tourists every year. The beach, which is located between Palermo and Messina, is mostly served by beach clubs but has a few public areas. Ideal for a relaxing family holiday, it offers various services (showers, bars, restaurants, beach equipment rentals and boats). There are several parking areas in the town centre. 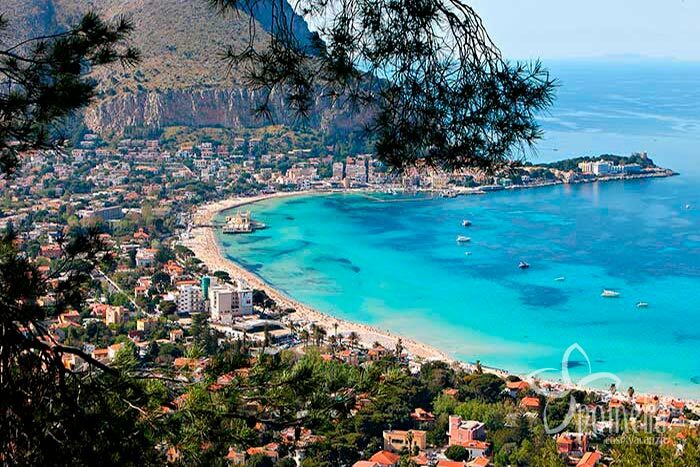 Mondello is a very famous beach of white sand, partly public and partly equipped with beach clubs. This very popular and beautiful bay with shallow and turquoise water is known for being frequented by VIPs and celebrities, which has made it a fashionable and luxury seaside resort. Paying parking areas are available near the beach. 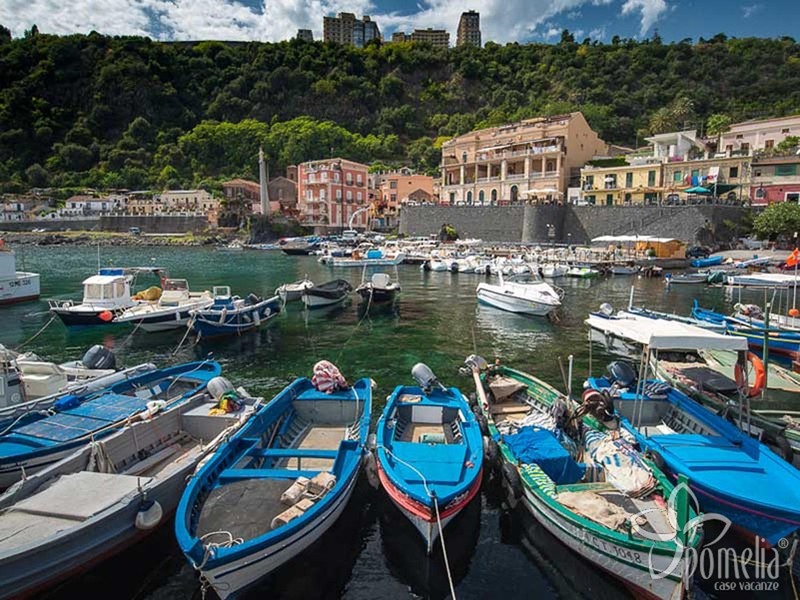 Castellammare del Golfo is one of the most popular and lively tourist destinations in the North of Sicily. 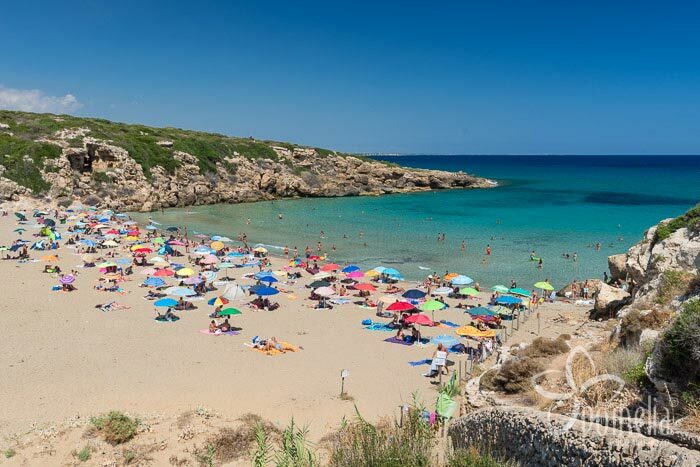 It offers an equipped and long sandy beach, ideal for families with children, and a suggestive small cove with sand and pebbles: this one is perfect for those who love lively beaches and do not want to miss a swim in the beautiful crystal waters of the coast. 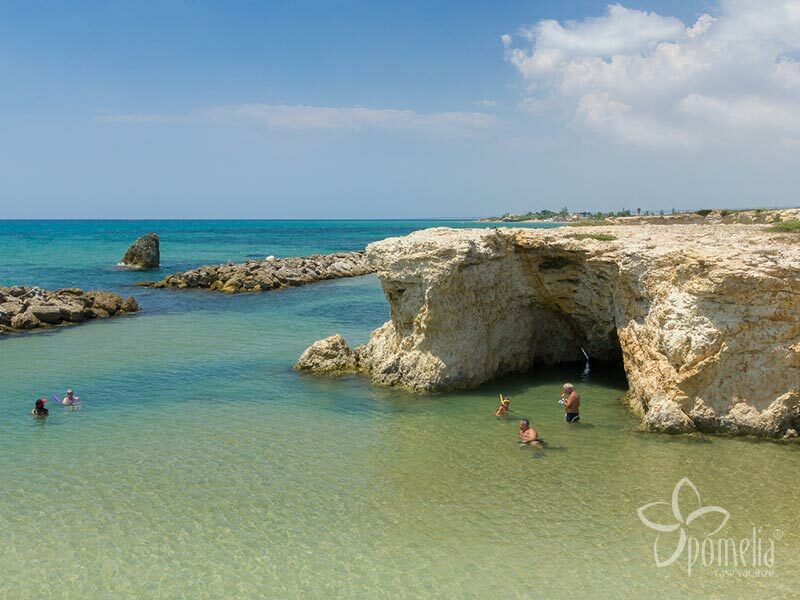 The beach of Scopello (Faraglioni di Scopello), located near Trapani, is a small bay of clear sand and rocks, with a deep and crystalline sea. Since the access to this beach is private, you have to buy a ticket. Inside there is a parking area and a bar/restaurant. In the high season it gets quite crowded, so it is better to go there in the early or late summer to enjoy this splendid cove. 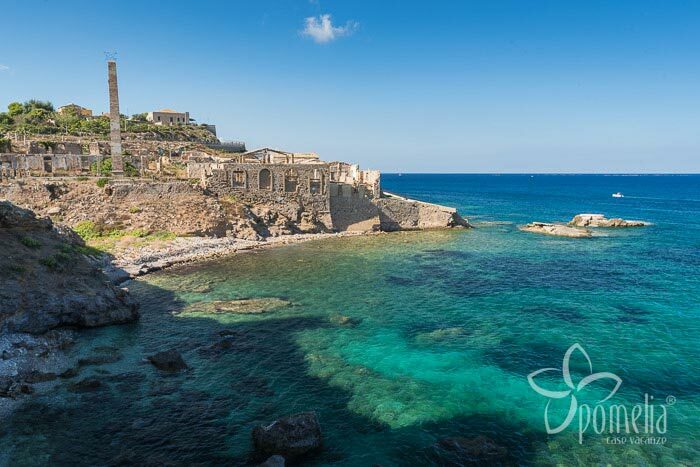 The coast of this wonderful protected area, located near Trapani, is full of white pebble coves and is bathed by a very clear sea. Immersed in wild nature, the bays can be reached along paths through the protected area, with an entrance charge. The parking area offers a rest area with bar. We recommend using trekking shoes, comfortable clothing and, above all, taking bottles of water and a packed lunch. In summer it can get really hot and the coves will be more crowded, so it is better to go in June or September. 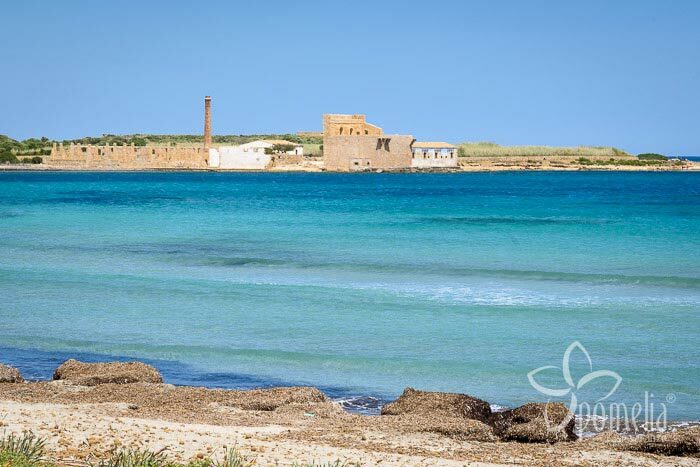 San Vito Lo Capo, a short distance from Trapani, has a long white sandy beach washed by crystalline waters. The public beach is served by numerous beach clubs and bordered by several bars and restaurants. It is a true paradise for families with children and young people who want to enjoy a beautiful sea with services. You can also practise water sports and go on boat trips. There are several free and paying parking areas a few metres from the beach. The pebble beach at Bue Marino is a wild pristine place. It is lapped by clear waters, where you can snorkel and dive. 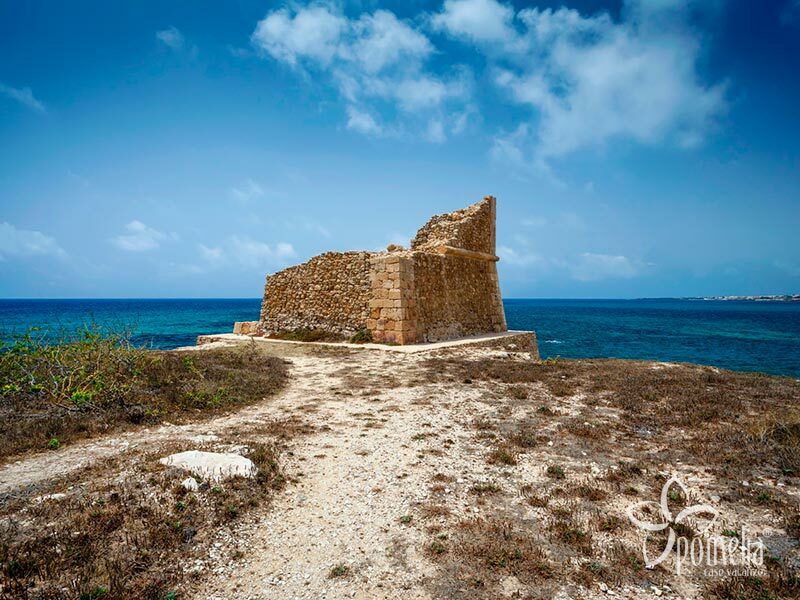 The nearest services are about 4 km away, in San Vito Lo Capo. 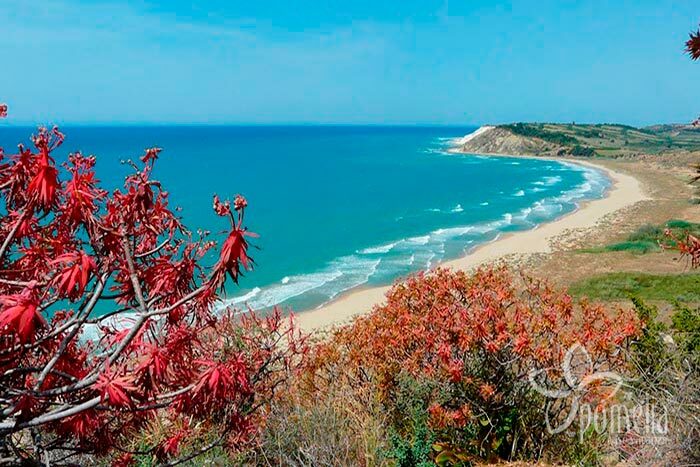 The unspoilt wild beach of Torre Salsa has golden sand and is located near Agrigento. It is frequented only by naturists and lovers of peace and tranquillity. To reach it, you have to walk through a reserve, after parking at the entrance. The first services are located 5 km away from the beach. 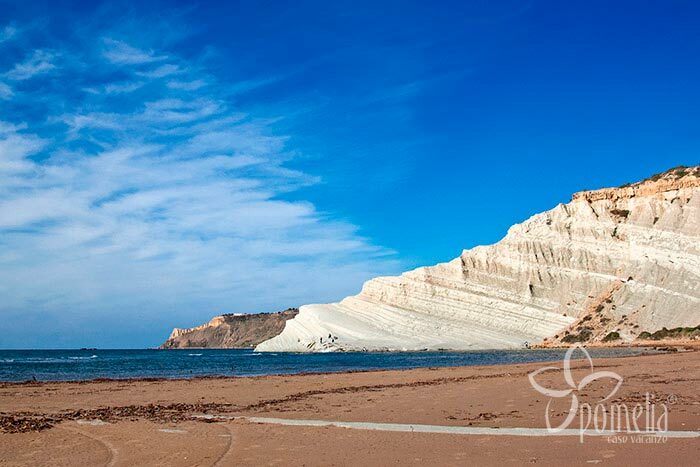 Scala dei Turchi, located near Agrigento, is a long beach of fine golden sand with rocky outcrops at the end, at the foot of a high white cliff. After parking in reserved parking areas, some of which have showers and toilets, you go down a path to the beach served by some small beach clubs. It is a unique place, mostly frequented by tourists.